I have to enlarge the datagridview vertical scrollbar to allow to the tablet users to scroll more easily. I have to work with themes? If is it so where is the datagridview setting in theme? Nice, was just wondering this myself. Is there a way to retrieve the width value, or set it at runtime? In my case it only needs to be wider on mobile devices. 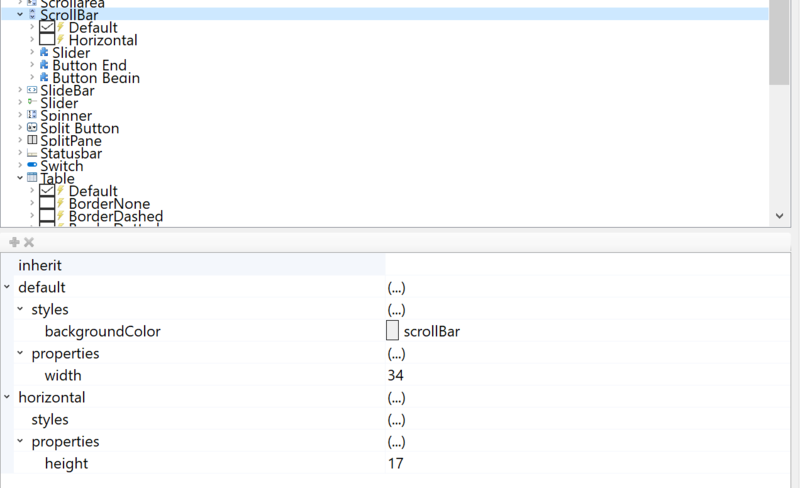 And is there a way to disable a horizontal scrollbar on a Listview? If the width overflows, both appear. You can modify all of the scrollbars in the Theme in ThemeBuilder under Scrollbar > properties > width. 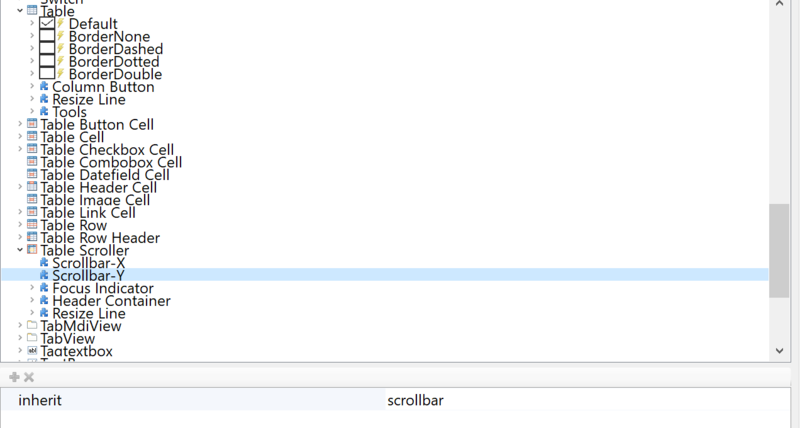 Scrollbar-y component of Table Scroller inherits from scrollbar. This would allow you to make all scrollbars bigger for tablets.